Note from the Editor… After Chris’ last blog several people asked to hear a more detailed explanation of Jack’s experience. Do you like snapshots? A picture that captures a moment in time, depicts a slice of modern Britain. It might present an image, but on its own, it lacks any explanation or commentary on how we arrived at that moment. So, ‘This is England’: My snapshot and explanation of a day last week. It’s Friday morning and Jack is released from prison. With a weekend stretching ahead, Friday is not the most helpful day for a release. Jack had been recalled to prison a few months earlier for breaking the terms of his release licence. He is 26, has no drug issues, but does have a string of prison sentences around burglary. In this last sentence Jack asked for help, in writing… This is unusual and suggested a high level of motivation to change. I have often written about this critical period, describing it as a ‘small window of opportunity’ to support this fledgling motivation. It really doesn’t last very long. So, Jack is let out of HMP… With no money because you do not get a discharge grant if you have been recalled. Critically he also has no ID (his previous housing dumped his belongings a month after his recall), no possessions and no clothes, bar those he is wearing. No means of identifying oneself in 21st century England means no bank account, which means no benefit payment… A first benefit payment could take up to three weeks anyway, or longer given Universal Credit is now being rolled out in our area. Even help from the food bank requires a referral – you can’t just turn up. A GP could do the referral, but Jack hasn’t got one and he’s got no means of cooking/heating food. He is at rock bottom, but remarkably is avoiding reoffending. The local authority housing officer refuses to accept that he is vulnerable and he therefore needs to be on the streets, homeless for a minimum of 10 nights before they will provide some support. How much clearer can society be that we are not going to help? The lead from government has been a push towards families; keen that relatives should increase their support. But Jack has no family to turn to and no safety net of caring friends. Over many years, brick by brick, the welfare system has been dismantled. Presumably, based on the evidence above, the state has saved some money because it is no longer providing any meaningful welfare support to Jack. But on the other side of the balance sheet is the cost of giving people like Jack little alternative to crime – a stark reality that costs society billions… £15 billion a year to be exact. The tragedy for all of us is this is happening to hundreds of young men every week. p.s. Update… Jack now has his birth certificate, a bank account and a doctor, but still no benefits and he is entering his fourth week out of prison. Our market garden is getting too big to dig with a spade. 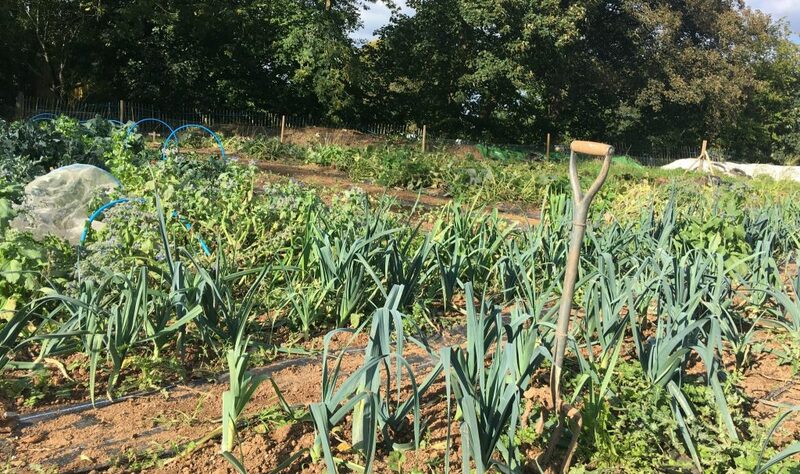 Please help us raise the money to buy a rotavator, to help our productivity in the market garden! Donate to our Rotavator fund here.